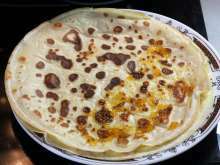 Recipe for very tasty pancakes that will melt in your mouth. Beat eggs and vanilla sugar. 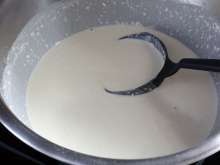 Use a hand whisk and stir whipping cream and milk in. 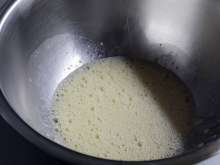 Gradually stir flour in and prepare smooth runny batter. Pancakes are better when you allow the batter to rest for at least one hour. If you plan to make pancakes for breakfast, prepare batter in the evening. Pour a dough onto a hot pan and help it to spread all over the bottom by tilting the pan. 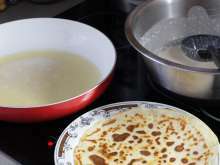 When dough is properly brown on the bottom and around the edges, pour some oil to the pan to release the pancake. Turn it and fry ontheother side until golden brown. 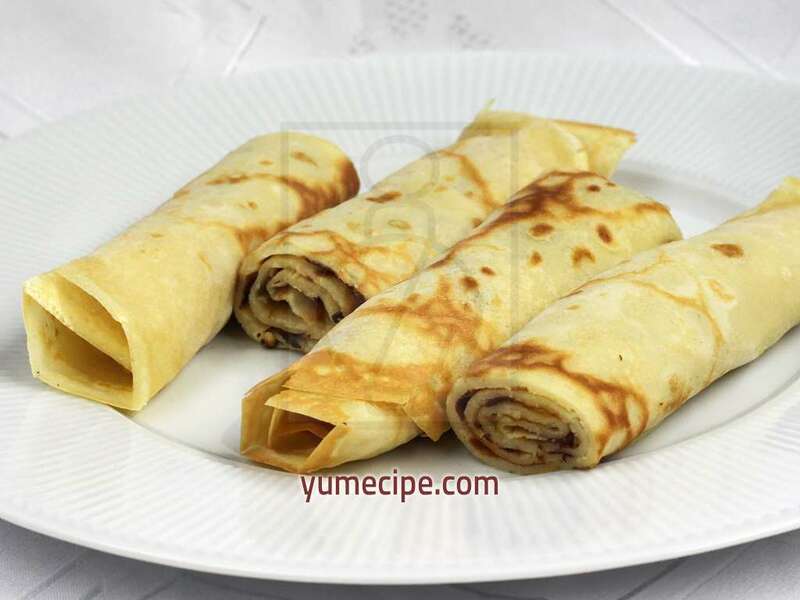 The quickest way is to spread the pancakes with jam and fold. This is how small children love them.